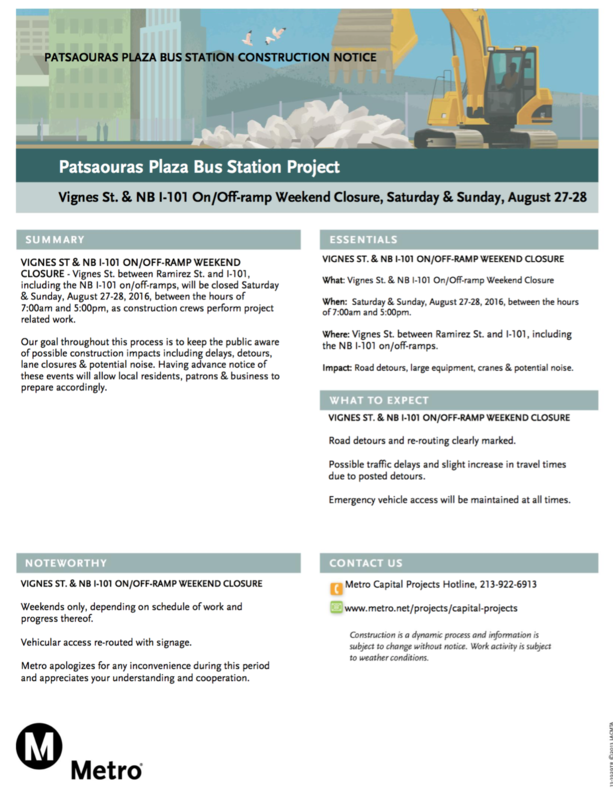 Due to construction work in Patsaouras Bus Plaza, Vignes Street between Ramirez St. and the I-101, including the NB-101 on/off ramp, will be closed from 7 a.m. this Saturday, Aug. 27 through 5 p.m. Sunday, Aug. 28. Please plan ahead and follow detour signage if traveling through the area. Entrance to Metro’s underground parking lot at Union Station and the pick up/drop off lot will not be affected.